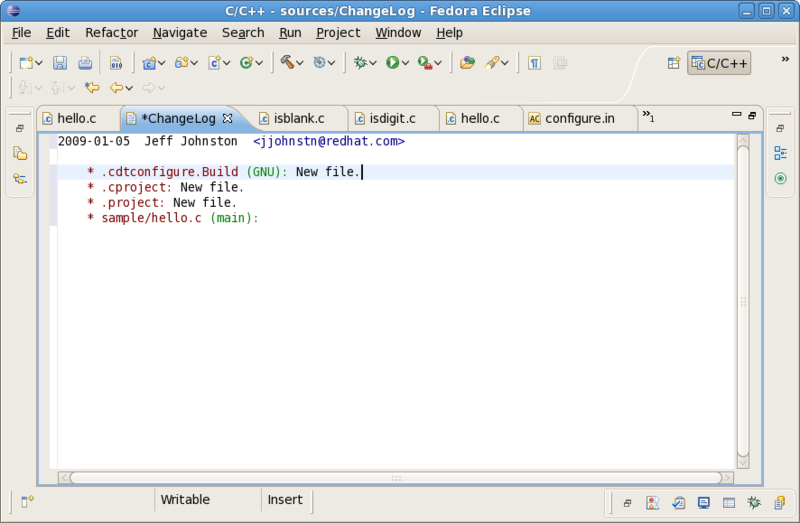 The Linux Tools ChangeLog plugins add automatic ChangeLog entry creation support to Eclipse for projects checked out from a Team repository (CVS and SVN). Method and function indication is provided for C, C++, and Java language files. The RPM .spec %changelog format is also supported. A ChangeLog entry can be created for a single file or an entire project. In addition, a ChangeLog editor is provided which makes it easy to format the file consistently and to put the latest entry into the clipboard buffer for usage in a repository commit operation.